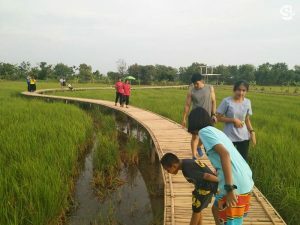 A BAMBOO bridge that weaves through paddy fields in northeastern Nakhon Ratchasima province, or Korat, has turned into a new tourist attraction, Sanook! 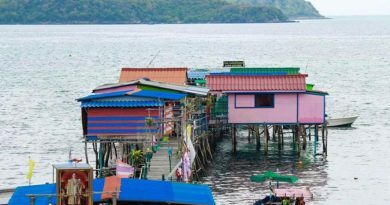 Travel columnist Peeranut P. wrote today (August 21, 2018). 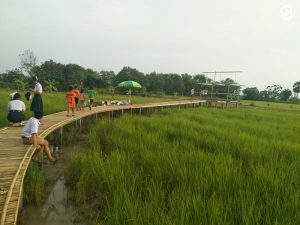 Lots of locals and tourists are flocking to the Sufficiency Economy Philosophy Center at Ban Toei in Krabueang Yai subdistrict, Phimai district, to stroll through this bridge which was jointly built by local residents. 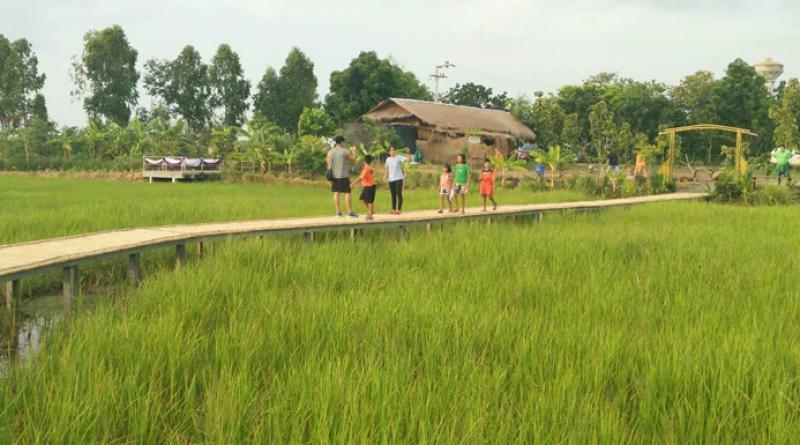 A walk across the 300-meter long and a meter wide bamboo bridge as it winds through the 10-rai demonstration paddy fields gives visitors a chance to fully appreciate the rural atmosphere, and of course take lots of photos in this rural setting to share with friends. 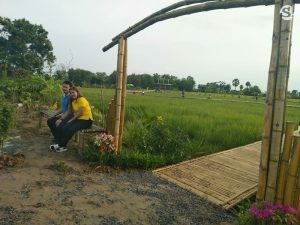 People usually turn up to amble through the bridge in the mornings and evenings, and now that it is becoming famous Phimai district is getting ready to list it as a new tourist attraction for the annual Phimai festival. 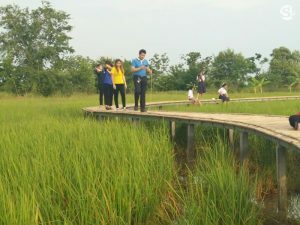 Taking place in the second week of November this year, this annual festival with its famous long-boat races celebrates the grandeur of Phimai during the reign of Cambodian King Jayavarman VII, who ordered the construction of Thailand’s most significant Khmer temples including Prasat Hin Phimai, during his reign over 1,000 years ago.